PRISCILLA PEARL THOMAS LAW, passed away in Cardston, Alberta on September 3, 2016 in the arms of her loving husband, William Keith Law. Priscilla was born in Cardston, Alberta on December 26, 1929 to Grover Alston Thomas and Flora Pearl Beaves; and was raised in Glenwood, Alberta with her older sister Joyce (deceased); and three younger brothers McKinley, James, and Maurice. 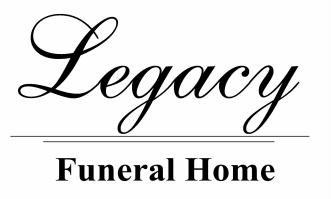 Priscilla will be missed by many, but most of all her spouse of almost 70 years with her six children: Chris, Stacy, Trudy, Susan, Tom and Todd; 25 grandchildren, and 66 great grandchildren. She filled her life with the love of family, music, books, and church service. She was happy to share a hug, a Sunday dinner, or a loaf of homemade bread. She was beautiful, spirited, hard working, and generous. A Funeral service will be held at The Church of Jesus Christ of Latter-day Saints, Glenwood, Alberta on Friday, September 9, at 11:00 a.m. with interment to follow at the Glenwood Cemetery. Friends may meet the family at the church from 10:00 to 10:45 a.m. prior to the service.